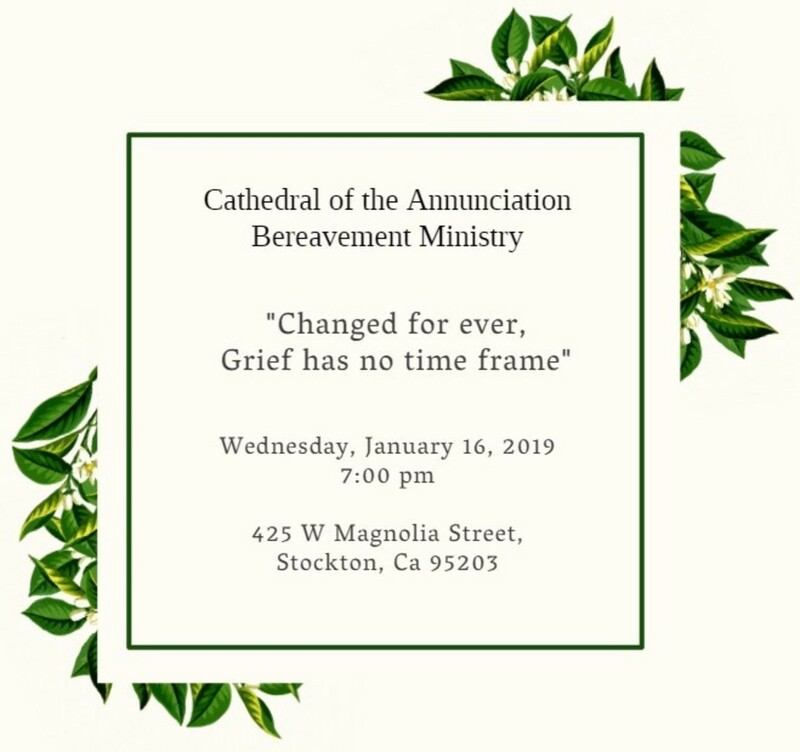 The Bereavement Ministry at Annunciation invites you to: “Changed Forever, Grief has no time frame" on Wednesday, January 16, 2019 7:00 pm at the Parish House (425 W Magnolia Street). In this session, our hope is that we show you how to slowly integrate the loss you have experienced and the grief that comes with it, into a life that is Changed Forever. It doesn’t matter how long ago this death occurred, it is still with you and will be, for the rest of your life. Please mark your calendar and join us for this evening that will help you move through some of the most difficult times one can experience in life. We are encouraging you to invite friends or family members to join you. Call Yvonne at the Parish House if you have any questions and we would like to know approximately how many people will be attending (209) 463-1305.